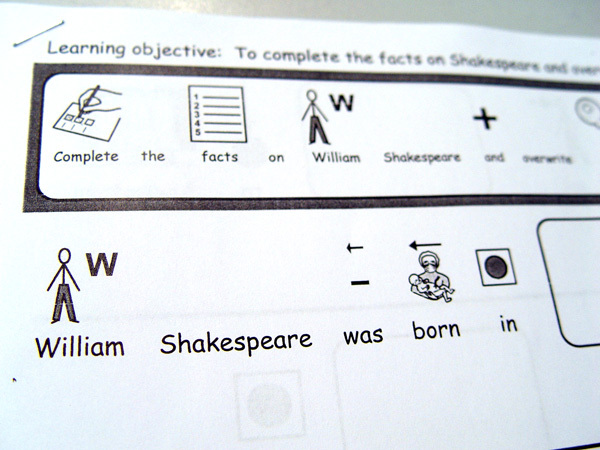 Class 11 have started a new topic during literacy lessons for this term, learning all about the life and work of William Shakespeare. We started off our work by holding a class brainstorming session to see what knowledge we already knew. Who was Shakespeare? What was he famous for? Can we name any of his plays? The teaching staff were impressed to find that most students could already name a number of Shakespeare plays, as well being able to describe what the stories might be about. We then watched a short video. 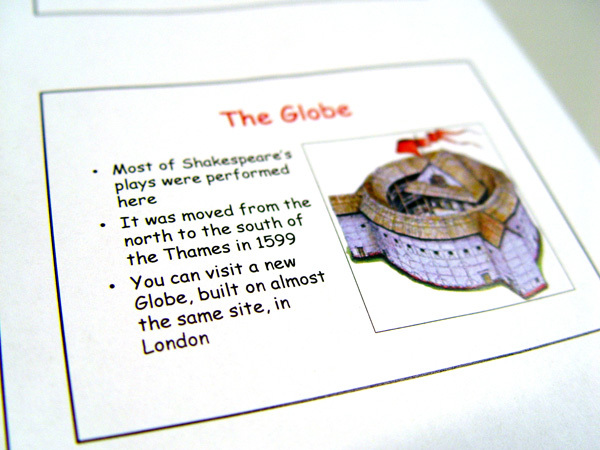 This explained a little more about the modern day Shakespeare’s Globe. Class 10 were able to see how a traditional Elizabethan theatre has been built in London during modern times. We also learnt how the traditional costumes and all-male casts are still sometimes used at The Globe. Our early Shakespeare research was then documented by answering a fact sheet. The pupils were able to refer to library information in order to help complete the answers all about Shakespeare’s life. Our work will continue throughout the remainder of the term, focussing specifically on Romeo and Juliet. We will be introducing the students to the various characters and themes to help to understand the play in more detail.